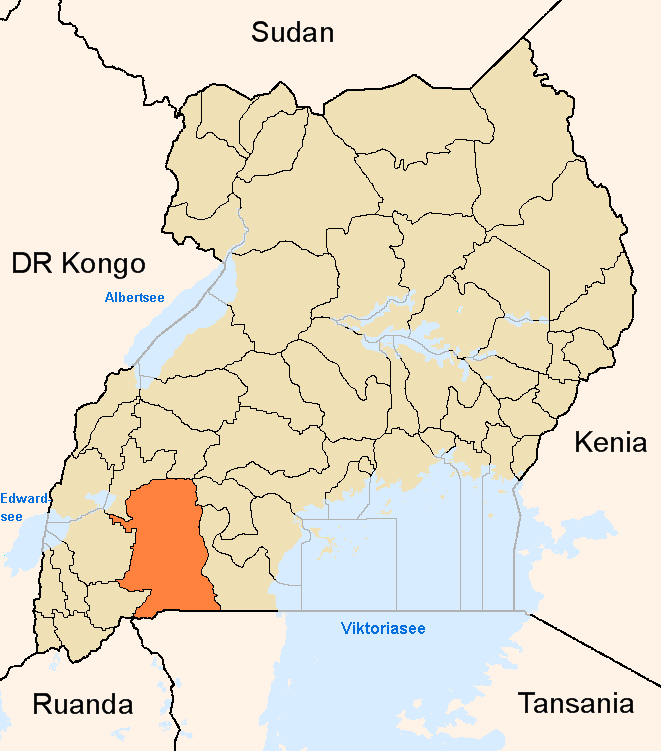 Mbarara is about 290 kilometres (180 mi), by road, southwest of Kampala, Uganda's capital and largest city. Mbarara is an important transport hub, lying west of Masaka on the road to Kabale, near Lake Mburo National Park. The coordinates of the Mbarara central business district are 00 36 48S, 30 39 30E (Latitude:-0.6132; Longitude:30.6582). In 2002, the national census estimated the population of the town at 69,400. The Uganda Bureau of Statistics (UBOS) estimated the population at 82,000 in 2010. In 2011, UBOS estimated the mid-year population at 83,700. In August 2014, the national population census put the population at 195,013. MBARARA GENESIS Early Travellers in Ankole and the Founding of Mbarara by an African, Asian and European Initiative. by David Weekes, (2014) ISBN 9780956550149 describes its founding in 1899 on an old royal site which had been abandoned. 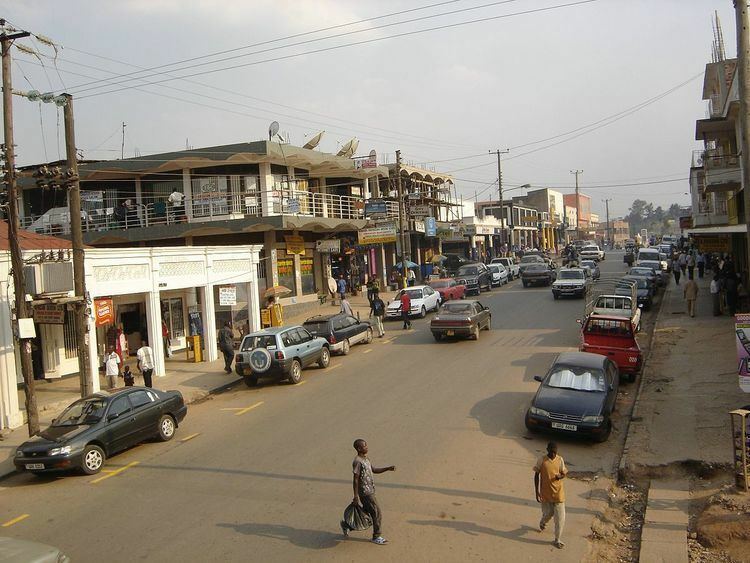 Mbarara came from behind and developed to surpass Entebbe, Masaka, Gulu, and Jinja as the second-largest town in Uganda after Kampala and also second to Kampala in importance, industry, and infrastructure, 3rd largest town in Uganda by population after Kampala and Kira and the fastest growing town in Uganda followed by Gulu. Starting with 2000, modern buildings have been established including malls, arcades, plaza, and hotels. Modern hospitals have also been constructed including Mbarara Hospital, which is now a National Referral Hospital, Mbarara Community Hospital a private hospital located in Kyamugorani, Kakiika Division, and Mayanja Memorial Hospital located in Nyamityobora Kakoba Division. Mbarara is the home of Mbarara University of Science & Technology (MUST), founded in 1989. With significance for all Ugandan cities, Mbarara was the host to the 2004 Annual General Meeting of the Uganda Local Governments Association on 1 October, which saw the changing of the organisation to its current structure in order to represent all Ugandan local governments. Mbarara remains an active member of this governmental association. As part of the modernization of the Mbarara-Katuna Road (2011 - 2015), a new northern bypass road is planned for the town. The bypass will start from the Coca-Cola Plant on Mbarara-Masaka Road at Makenke, pass through Rwebishuri and Nkokonjeru and join the Mbarara-Kabale Road at Katatumba Resort, about 5 kilometres (3.1 mi) southwest of the central business district. The bypass is expected to decongest the city center by taking the long-distance trucks destined for and coming from Rwanda, Burundi, and the Democratic Republic of the Congo off of Mbarara's city streets. The 14 kilometres (8.7 mi) road is expected to cost about €170 million (US$210 million), of which the European Union is expected to lend about €122 million (US$153 million) with the government funding the balance from its own resources. Mbarara Brewery - A subsidiary of SABMiller; to be built at a cost of US$80 million. Mbarara Community Hospital - A private hospital that serves the community without regard to ability to pay. Mbarara University of Science and Technology - One of the six public universities in Uganda. The Mbarara Campus of Uganda Martyrs University. Mbarara Bypass Road - A 14 kilometres (8.7 mi) bypass road, currently under construction, circling the northern half of the city.